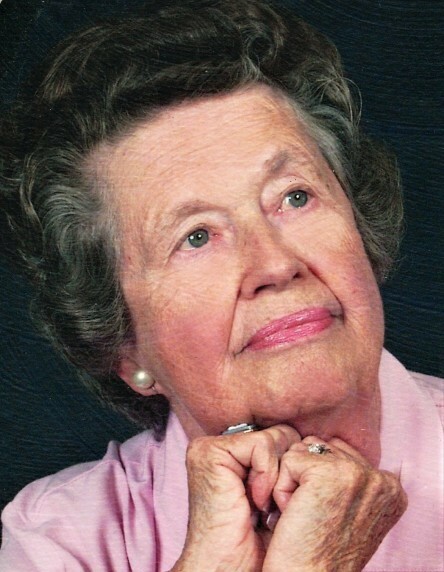 Obituary for Catherine "Kay" (Levey) McEachron | McClellan-Gariepy Funeral Home, Inc.
Salem-Catherine L. McEachron (Kay), 95 passed away surrounded by family at her home on Tuesday, January 29, 2019 after a short illness. She was born in Schenectady, NY on November 12, 1923. The daughter of the late Andrew M. and Edna T. Levey and the wife of the late Leon (Ben) McEachron. Kay was a graduate of Draper High School and received her bachelor’s degree in home economics from Russell Sage College. Upon graduation, she was a 4-H agent in Broome County for one year. After her marriage to Leon she moved to Salem where she has lived her entire life. Kay was the home economics teacher and FHA Advisor for 14 years at Salem Washington Academy. After her teaching career she served as the librarian at the Bancroft Library in Salem for 16 years. Kay was a 73-year member of the Hebron United Presbyterian Church. During those years Kay served as an elder, church librarian and served on multiple committees. Kay was a long-time member of the Hebron Book Club. She loved her home and tending to her flower gardens. Kay is survived by her children, Catherine M. Tworek (Jack) of Averill Park, and son, Donald L. McEachron (Tracy) of Salem; a brother, Andrew J. Levey (Anne) of Schenectady; five grandchildren, Michele Baratto of Averill Park, Katie Fogel (Paul) of Averill Park, Sarah McEachron of Decatur Ga, Seth McEachron (Yvonne) of Saratoga Springs and Amber McEachron of Salem; six great grandchildren Graeme, Adeline and Olivia McEachron, Margaux McEachron, Hunter and Reese Fogel; a niece and a nephew, Sally Jensen and Paul Levey. Kay’s family would like to thank Betty James, Jeanna Beagle, Pat Kitz and Karen Robison for their friendship and companionship. A special thank you to Karen Robison, Vicky Fifield, Cathy Wadsworth and Laura Weber for the wonderful care provided to Kay the last weeks of her life. A very special thank you to Rev. Laura Mitchell for her special bond with Kay and her spiritual support and love in her last weeks. A memorial service will be held at Hebron United Presbyterian Church, 3153 County Route 30, Salem on Saturday February 2, 2019 at 1:00 pm with Rev. Laura Mitchell officiating. A reception will follow in the church hall. The family suggests memorial contributions be made to the Hebron United Presbyterian Church, 3153 County Route 30, Salem, NY 12865.